We arrived at the hospital for check-in. We have been to this hospital for pre-op check in numerous times by now over the last couple of years so it all felt very familiar and …comfortable. We weren’t walking into all of this as newbies. That really helped. It helped with my emotions, fears, and expectations as well as Matt’s and even Nora’s. Nora knew we were here because her doctor was going to ‘fix her back’. She knew we weren’t getting a cast but she didn’t fully know what all was going on either. She was comfortable and even relaxed during all the pre-op stuff like getting height, weight, blood pressure, etc. We sat in the pre-op room and waited. I felt like we were there for a casting which was probably good. I wasn’t fearful or extremely nervous at this point. Like always, interns, fellows, nurses, child life, anesthesia team, our surgeon’s team and even our surgeon were in and out explaining little things here and there and asking typical questions. We meet with the anesthesiologist weeks before to figure out our operative plan. Nora has not done well post-op with anesthesia before so this was a big concern for us. We decided on giving her a small dose of valium in pre-op and decided against versed. Nora was relaxed which was really helpful. For this surgery, we could not go back with her into the OR with her like we had before for castings. We were concerned this would upset her so the Child Life Specialist decided to let her take an ipad into the OR with her that was playing Curious George. Suddenly it was time to go, that part seemed to happen so fast. As the team picked her up and gave her the ipad she immediately panicked, started crying and screaming. The valium was not doing it’s job anymore. She was begging not to go and for us to come with her. I had to dig deep to try and barely hold it together while I hugged her and kissed her sweet scared face. At that moment, I wanted to grab her and hold on to her so tight and just run. But I knew I couldn’t do that. I told her it was going to be ok and that daddy and I were coming and would be right behind her. We would see her in the room in just a minute. I had to lie to try and calm her. It was awful. I hated lying like that. Once she was gone, the tears just poured out and I sobbed a little. I was trying to be brave myself and hold it in but couldn’t. Dr. Garg was in the pre-op room with us when all of this happened, he looked at me and said, “Jackie she’s not going to remember this” he said it twice trying to reassure me. I knew this, but it was still hard. I pulled it together and we all talked for another minute or two and then we walked out to the waiting room. There is a spot outside of the actual waiting room, a lounge area, that looks into the waiting room and also has a balcony of sorts that looks down to the hospital’s first floor. This is ALWAYS where we sit when Nora has been in the OR. It’s MY spot. That day I was obsessed about this spot and worried someone else was going to be sitting there. It was as if someone else being there would change everything. What can I say, I’m a Chicago Cubs baseball fan, superstition is a part of who I am. I talked about my concern of someone else being there so much Matt just laughed at me because my obsession was ridiculous. I knew it was too. But wouldn’t you know, as soon as we walked out there was couple was sitting there, in my spot. I just looked at Matt and he laughed. We could still sit in the same area but not the same seats. I didn’t like this. Matt and I decided to go downstairs and get coffees. Getting in the elevator I suddenly felt so exhausted and it was only 7:30 in the morning. It was going to be a long day. I got my fancy latte and we headed back upstairs. When we got back, OUR spot was open. The couple was no longer there. I immediately grabbed all of our things and made a bee line for MY spot. I suddenly felt much better. We kept ourselves busy for awhile with facebook and goofy stories online but that was slowly fading fast. I couldn’t read a book; I haven’t read an actual book in almost 3 years because I’m always researching. Now was not the time to try and pick up the latest bestselling novel. 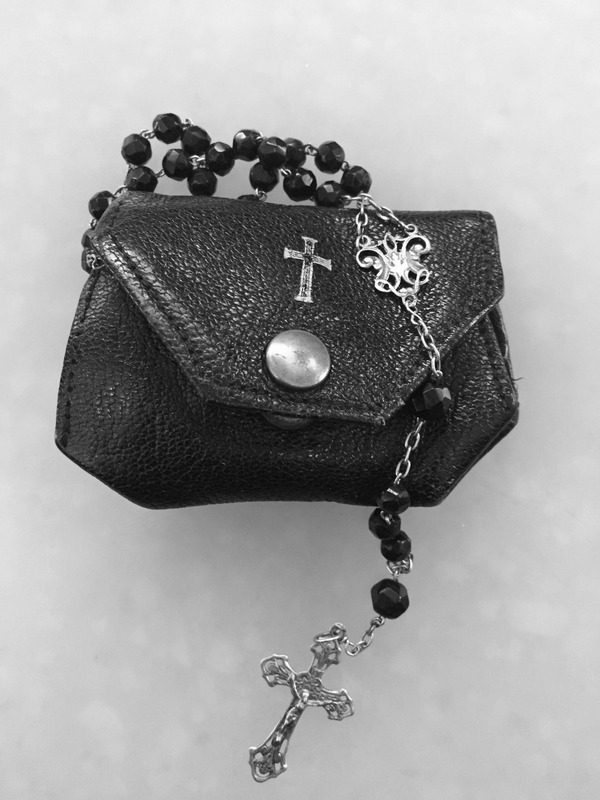 I had a pair of rosary beads in an old tiny leather case. They were my grandmothers. I’ve always felt comfort just holding the little pouch in my hand and that’s what I did that morning. I just held the pouch for hours and would often silently recite my favorite prayer, The Memoare. At one point I found my way down to the hospital’s chapel and just sat in there by myself silently for awhile. I thought about how many people had been in this room before me, with much bigger prayers and intentions for very very ill children. And so I prayed for all those who had entered that room before me and all those who would after me. Only a few hours had passed by now and we were restless again. A nurses in the OR called us every hour to give us updates which were nice but the information given was generally pretty basic. Matt and I decided to go get more coffee and once downstairs we decided to go to the blood donation center. Matt was going to donate. We didn’t think it was a good idea for both of us to donate at the same time and I had eaten anything yet that day. I knew I should have but I just couldn’t stomach the idea of food for once in my life. As Matt was donating, I got a call from the OR nurse saying they would be finishing up soon and our surgeon would be out to see us. I had to go tell Matt to get his heart racing and fill up that donation bag quickly, jokingly of course. I headed back and Matt was soon behind me. 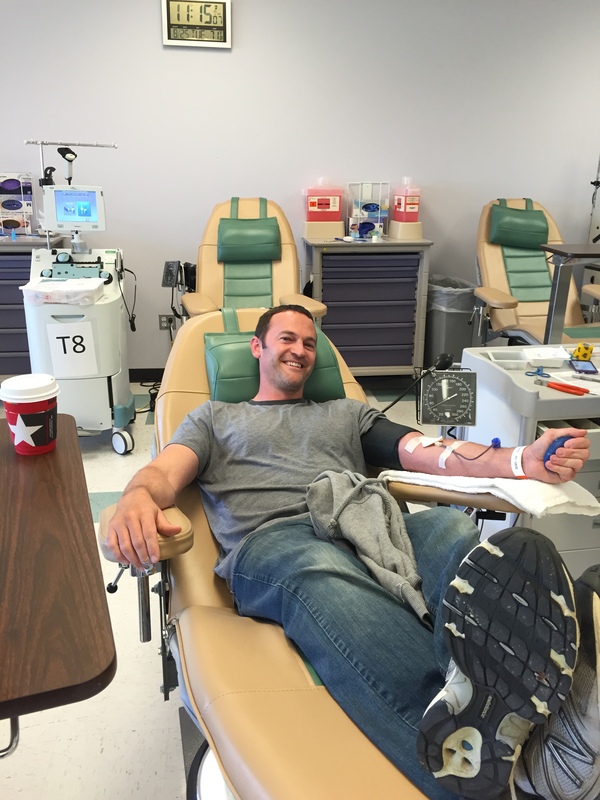 When we told Matt’s parents Matt was donating blood, my father-in-law decided to go down and donate too. I’m very proud of both of them for giving back and helping save lives. After all, someone with the same generosity would help save Nora in the days ahead, when she needed a blood transfusion. About forty minutes later Dr. Garg came out to speak to Matt and me, he immediately said everything went really well. He said she lost more blood than they anticipated but still in the normal range for what they expect for that surgery. He said they would just keep an eye on her. Then he handed me the piece of paper he had in his hand. It was a copy of her x-ray that was taken in the OR after all the hardware was in place. I became overwhelmed with emotion. Never had we ever seen her spine look so straight. I looked past the hardware and just at the straightness of it all. I was overjoyed. Dr. Garg went on to say he got better correction than he originally anticipated which was very obvious from the xray. The heavy weight we had been carrying around seemed to lift right then and there. I couldn’t help but lunge over and hug our surgeon and thank him. We talked for a few more minutes and he said we would probably be able to see her in an hour or so. I was suddenly excited. It was a weird feeling to have at that moment. 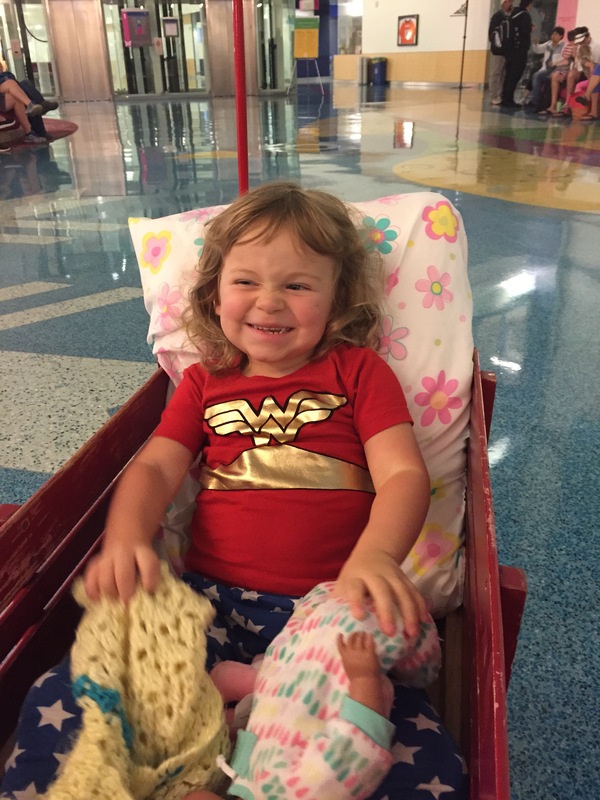 I never would have thought I’d feel excited immediately after my daughter had major surgery. Soon they called us back to post-op. Then I started to get nervous knowing she has not handled anesthesia well in the past. But when we turned the corner and saw her in her bed awake and not crying and even bigger relief set in. Her face was swollen, they told us this would happen. She was laying face-down for hours during her surgery, the face is naturally going to swell. Nora was alert but sleepy and soon she was itchy and I mean really itchy. The side effects from the morphine can cause itchiness. She had all these IV’s in her hands but she kept rubbing her face because it itched so much. Our nurse wanted us to try and stop her from itching so much because she was going to scratch her already swollen and tender face with the IV’s poking her. That wasn’t easy at all, she was so itchy, we tried gently rubbing her face with a wet cloth but it seemed the itching was getting worse and our nurse asked a doctor to get a drug to counteract the itching. It took forever it seemed to get the order in for that. In the meantime, Nora had some juice and was watching Curious George and was dosing a little here and there. About an hour in post-op we were still struggling with the itching and keeping her comfortable now. Poor Matt got a little lightheaded because he didn’t really get to eat anything substantial enough after giving blood. So we had to get him a juice and cookie too. Thankfully he was fine after that. By now our nurse wanted Nora to have this medicine that was supposed to counteract with the itching given to her on a slow IV drip. The single dose wasn’t really working. We were beginning to get a little frustrated too. This required our anesthesiologist to come by and see her and authorize the drug. He talked to us a little about the drug but to be honest it’s such a blur, at the time I just wanted her to be comfortable and for us to be able to move up to our room, I don’t even remember what he told us. Also during this time, Nora’s oxygen saturations were fluctuating a lot. Not uncommon but they needed to increase her oxygen, she didn’t like that either. That was only the beginning too. 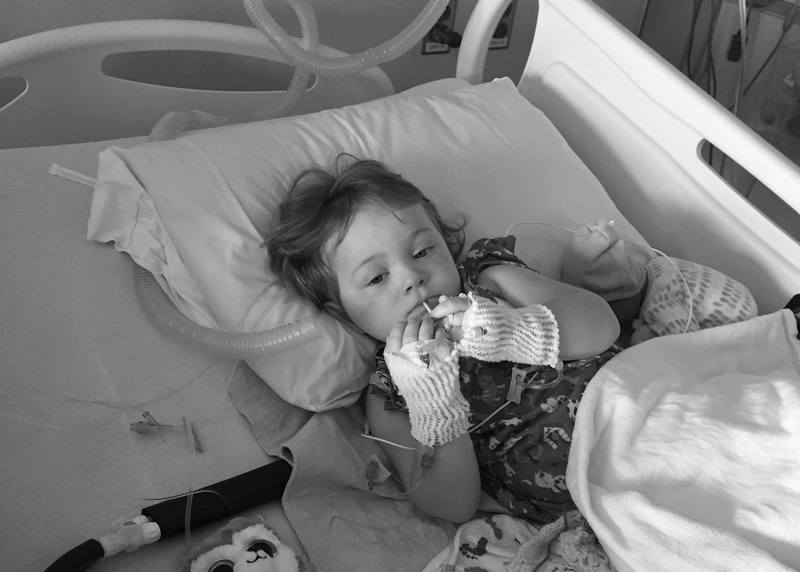 Once we were settled into her room and the IV anti-itch meds were going on a drip, she was much better. She had some discomfort early on but was drinking juice and water well. She also had two Popsicles and enjoyed a sucker. She could not make a decision for the life of her though. We brought easily 20 different DVDs and had the tablet loaded up with movies and shows, of course she didn’t want to watch any of those. She finally settled on Charlotte’s Web. We ended up watching that three or four times on repeat that day. That movie will forever be linked in my mind with Nora’s surgery. She was incredibly tired but fought sleep like nothing I’ve ever seen. Her nurse that day said she had never seen a little one fight sleep so much either. We had to keep shifting her position in bed every couple of hours, she would be on her back or moved to her sides. She had this nice pad under her back that was connected to a cooler that sat under her bed. That cooler was an ice machine. It was loaded up with water and ice and it plugged and kept the ice pack under her back cold for hours at a time, so helpful. She had a folly in and also pressure cuffs on her calves to prevent blood clots. We still continued to struggle with her oxygen levels. They initially wanted her off oxygen around 5:00pm that day. By 8:00pm we had the oxygen canullas taped to her cheeks to hold it in place. Nora didn’t want Matt or me to leave the room, she freaked out a little when Matt left to go get water or something. It was understandable and heartbreaking at the same time. She finally fell asleep around 9:00 that night and one of us had to be in the bed with her. But no one really sleeps in the hospital, it seems like someone was coming in every couple of hours for this or that. Nora was insistent I lay one way in the bed with her and I had to be looking at her. She got mad if I closed my eyes, this was around 3:00am. It was a struggle; in essence, Matt and I had been up for 22 hours almost. And the pulse ox monitor would beep every time her levels dropped below 85. The machine was going off a lot. The low oxygen levels could have been from the morphine IV and the injection she had during her surgery and the valium she had been given for muscle spasms. Those drugs can lower the respiratory system. It could also be because of the blood loss she had. Our first night was a little rough, at one point her pain was really bothering her and she was due or ready to have more pain meds. We had beeped the nurse and asked for it but it was an hour before she came in. She didn’t want to give the pain meds either which I didn’t understand. We were not a fan of this nurse, her communication skills were not the greatest. I found I had to take the lead and ask for things that I would have thought would have been brought up by her initially. The rest of the nurses were wonderful and very very helpful. Day two of recovery coming soon…. After sharing with you all the surgical options we were faced with, it was great hearing from so so many of you. I was surprised just how many people reached out to personally thank me for sharing the details in an easy to understand way. Many folks were curious what we decided and so many shared their experiences with some of our options. It’s true, there is no right answer, only time will tell, and every case and every spine is different. But thankfully I can say, making this choice was relatively easy for Matt and me. What this surgery would mean is he would go in and remove both of those odd shaped vertebra. If it were only a single they would close down the vertebra above and below the one they remove and tighten it up and fuse it there from just the back part of vertebra not touching the front side of the vertebra. They can’t do that with two hemi’s in a row, at least not hers. What they would have to do is remove both, and do a fusion across the now open space on the front side of the vertebra as well as the back side but not cinching it down bone-to bone. They can’t cinch two openings down in part because of the spinal cord. It would be “open”. This “open” space would be have to be supported with a metal mesh cage. It would be fixated to the front and back of the three vertebra above and three below to ensure its stability, essentially fusing those above and below all the way around. This cage would be under the skin but would stick out some and you would see it. – It has high neurological risks – yes, just what you are thinking, damage to the spinal cord. – This surgery is considered a very big surgery with high risks. This is the biggest surgery with the highest surgical risks we have considered. – It has the highest possibility of being a “one and done” surgery. Meaning we wouldn’t have to do another surgery down the road because this one would be the ‘strongest’ almost. We were happy to eliminate this one, even though this is what we thought we would be doing for a long time now. This surgery just has such high risks. Its a very intense and invasive surgery, being able to cut those risks significantly with another option is reassuring. And again, nothing is certain, our surgeon just didn’t know what all this one would have produced in the end compared to the option we chose, if this surgery had more certainty then maybe this would have been the option we would have chosen. A fancy name for what is the most conservative approach of all of surgery options. 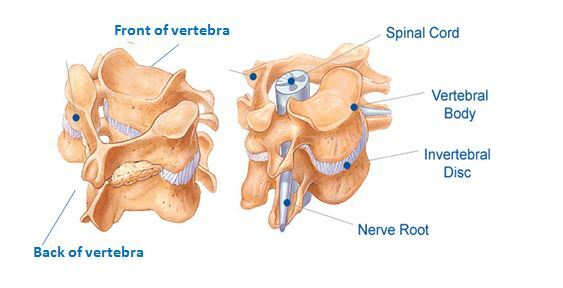 This surgery also involves leaving the abnormal vertebras in place and placing screws in and fusing only one side, the right side and also the back side, of the vertebra. Screws would be placed only on that one side one or two levels above and below the abnormally shaped vertebra. 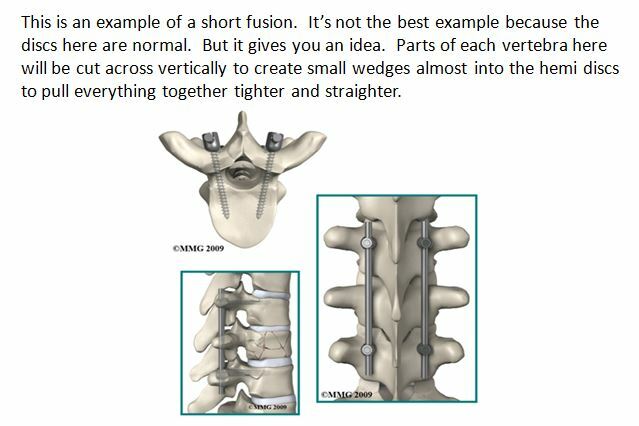 The idea here is that the screws on one side would act as a tether almost and pull the spine straight and allow the left side of the spine to be free from hardware and would have the ability to still grow. – Doing this surgery doesn’t “burn any bridges” so to speak if it does fail and other surgeries are required. This surgical option had also been an option that was discussed for some time, but I’ve never felt comfortable with this one. Sure, I love how minimally invasive it is but the 50/50 odds of it working never sat well with me. Since the beginning of hearing about this option, I’ve always had this gut feeling that this wouldn’t work, that this would quickly produce large compensatory curves that would need to be addressed. There’s no way of knowing if that’s true or even a possibility but my gut said it was. This was a situation where I knew I needed to trust my gut. Besides, if we have surgical options, I’d like to choose something with better odds if I can. This surgery would involve taking one hemi out and leaving one in and doing a fusion of both the front, back and sides of the hemi that’s being left in. He would fuse the two vertebra above and below the hemi left inside. 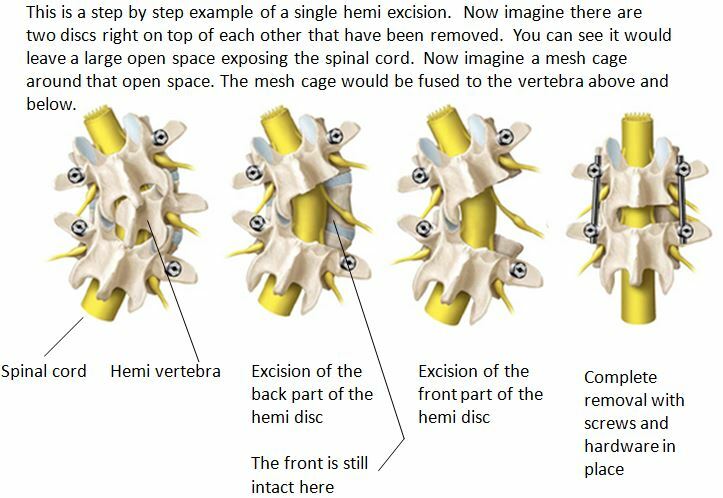 There would be no need for the mesh cage to be used like in the double hemi excision. The idea here is that taking one out would provide better correction than the short fusion surgery but how much is unknown. – In ranking order, this surgery has the second highest overall risks associated with it. – It has a good possibility of being a “one and done” surgery. While this option doesn’t carry as many risks and potential complications as the double hemi excision, the returns on this one just didn’t seem to stack up against the option that we did decide on. This single hemi excision is still pretty invasive and our surgeon just didn’t think we could get as much correction with this one as maybe we would have hoped. The CT scan gave a much better picture than the x-ray in terms of exactly what her abnormal vertebra look like. For a long time, one looked the most significant and we were just kind of waiting to see what the other one would do. Over time, it began to present itself as just as much of a problem as the first. The CT showed they are both about the exact same size and shape. The idea of this surgery would be to actually leave them in but carve out small horizontal semi-wedged sections of a certain part of each vertebra, almost like shaving it down, so he can pull it tighter to get more correction. He would then do a short fusion that would only involve putting screws in on the back side of the vertebra and not touching the front side. The screws/fusion would encompass the two healthy vertebra above the hemis and the two healthy vertebra below the hemis. Screws would be placed on both the back left and back right side of the vertebrae, but again not on the front side. – The curve could continue to progress because she would only be fused on the back side of her spine. So the front side of the vertrbra could grow and cause the spine to curve. She would then require another surgery or surgeries. Technically speaking , her odds of this happening are higher here than if we were to do a double hemi excision. – He thinks he will be able to get pretty good correction from this surgery, possibly the same as he would from the double hemi excision maybe slightly more. – This surgery is less invasive compared to the excisions and is considered to have much lower risks too. The Short Fusion is the surgery we decided to do. We are very happy to know the neurological risks are lower, it’s less invasive, and our surgeon feels good about the results this could produce. Don’t get me wrong, this is still a very major surgery. And yes, we don’t know if this will be a long term solution, it has a good potential of it not being a one-and-done surgery but really they all do. Our thinking was why do something really invasive and tough now when there is something less invasive on the table that has less risks and our surgeon feels good about. What? How is this possible? How is this going to make deciding any easier? So here it goes, here are the details many of you have asked for, the details on each surgery option we have. I hope the visual below helps as a reference when I’m describing these. We’ve thought for a long time now that this was going to be the surgical option that made the most sense. We’ve been preparing ourselves for this one in our heads. Nora has two hemi vertebras in a row at T-10 and T-11, just that extra one, right next to the other one, makes her case more complex than if she only had one there. If she had only one hemi, the best option would be a single hemi excision and small fusion, a very long and risky surgery in and of itself. The double excision of course adds to the complexity and the risks. So the overall cons from all of these are: they are all still major surgeries, she will never be completely straight, she will always have a rib hump and she will lose about 2 inches in trunk or overall height with any of these options. There is no solution that addresses all of these things. If there was any additional tool a pediatric spine surgeon would want in their arsenal I have to believe it would be the crystal ball. The unpredictable nature of the growing spine is just that…. unpredictable and makes their job difficult. In all these methods, there are unknowns of what will happen down the road, some have a bit better predictions but overall we just don’t know how her body will respond, what will happen during major growth periods. There is no one right answer here. 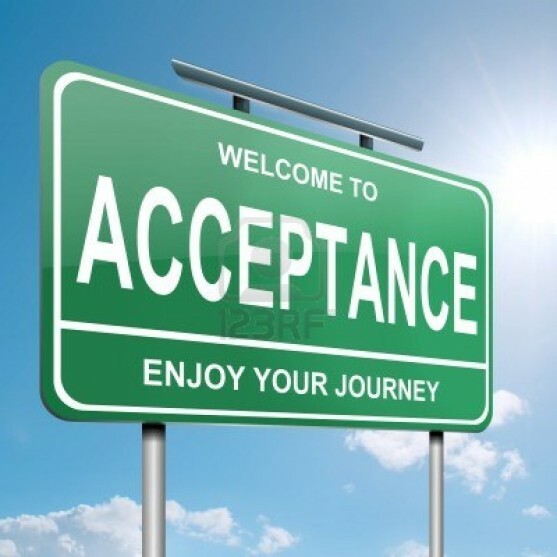 That has probably been the hardest factor for me to accept and understand. Modern medicine has advanced so much. For a very long time, in my mind, it seemed unacceptable to know so little of what will happen in the future after these surgeries. I understand this and have accepted this better now, but its has taken time. I think because I’ve been so fearful of making a wrong decision that will affect our child’s future. I struggle with dealing with fears of future from many things in life, not just this. But that’s just it, there are no guarantees to anything in life. Living with that fear will destroy you. I’m happy to say Matt and I have made a decision on what surgery to do and are at peace with our choice. Of course we are still nervous and afraid but we are ready to focus on this next step and will we try not worry about the future’s unknowns. For those of you who are intimately involved in Congenital Scoliosis or Early Onset Scoliosis can you guess what surgery we decided on? What would you choose? It was late March of this year when we decided to schedule Nora’s big surgery. We knew she would be big enough and in the preferred age range for the surgery, which is about 3-5 years old. I know what you’re thinking. You’re thinking that’s still a big time frame, why not prolong it and wait till she’s closer to 5 years old? 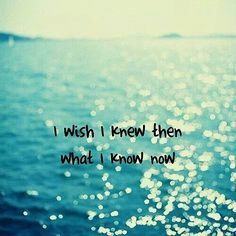 I struggle with this one too and go back and forth in my mind…should we just wait a little longer? By nature, I’m a great procrastinator but I’m also a bit of a perfectionist; a heck of a combo that always keeps my life entertaining and has made this journey interesting to say the least. But here’s how we came to this decision: I asked our surgeon if there was any benefit to waiting till she’s closer to five years old rather than doing it at three years old. He said no, she’s big enough and that doing it at three does not have any disadvantages over waiting till she is closer to five. He added, there’s no easy answer. If we weren’t ready we could wait. However, we would need to keep casting her till we were ready. It was those two factors that really made the choice seem a little easier. The fact is Nora has already been under anesthesia ten times. All before the age of three. There are studies starting to come out questioning the long term effects of anesthesia on young children. Of course nothing in these studies is concrete; they more or less say ‘we need to study this further’, but they are beginning to point to possible cognitive and behavior issues down the road. Plus there are always risks with anesthesia in general. And on top of that Nora has a horrendous time coming out of anesthesia. Lastly, cast life isn’t always easy, for us it has gotten harder as she got older. I truly admire the parents of kids who are really in it for a long haul and have years of casting ahead of them with no promises and still a strong likelihood of surgery down the road. That’s a tough tough road. So Matt and I talked about it for maybe 10 minutes and decided yes, let’s schedule it for five months from now. Five months was a long ways off. And at this point I had taught myself to only think in the present, what’s right in from of me. We lived cast-to-cast, day-to-day. But NOW, five months is suddenly right in front of me. The thought process I had going into picking a date for her surgery is probably a little crazy and neurotic. I knew I wanted the summer to be cast free and full of fun and freedom, which our surgeon was on board with as well. I also knew early summer was a very busy time for our surgeon because so many school aged kids who need surgery would be having them then so they wouldn’t miss school or very much school. So I didn’t want to schedule it in June or July when, in my mind, he’s doing back-to-back surgeries all day long, day after day and he’s probably pretty tired. This isn’t a quick two-three hour surgery, his assistant told me it will be 7-8 hours. I want to make sure he’s well rested and fresh and energized. Crazy thinking I know, this is his job and he’s not going to schedule a surgery when he’s not able to perform it at his best. But still. So when his medical assistant told me he was going to be vacation for a week in mid-August, I jumped on the August 25th date. It would be his second day back from vacation. I thought, this was perfect, he’ll be well rested and relaxed after spending quality time with his family. But then even more crazy set in…and I started thinking, what kind of vacation is he going on? What if it’s an adventurist vacation of rock climbing and hiking 14ers and he actually comes back from his vacation tired and sore from doing things he isn’t used to doing. Or what if it’s out of the country somewhere and he drinks the local water and gets a delayed illness and it hits him half way through the surgery. Then I started thinking this is a bad idea…I need to reschedule. Really just procrastinating. I shared this irrational and wacky thinking with just two people, my congenital scoliosis mom friend who’s daughter is close to Nora’s age and had her surgery already, and my husband, Matt. My mom-friend was reassuring that I wasn’t, in fact, crazy. She told me she had many “what-if’s” too before her daughter’s surgery. She worried about her surgeon getting in a fight with his wife the night before or not getting a good night’s sleep and being off his game the next day, or what if his kids were sick and he was up all night with them and suddenly comes down with an illness as well. Now when I told Matt what I was thinking, he stopped and said, “oh my gosh that’s what really goes on in your head?” he laughed and shook his head and said, “How do you even come up with this stuff?” I laughed too, I know I’m nutty. 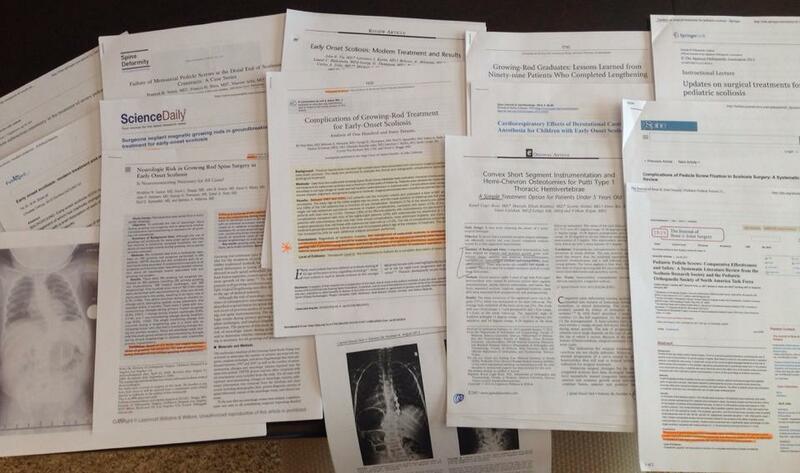 Recently, our surgeon told me he reads my blog occasionally. I’m sure he’s just going to love this post. It could very well change his opinion of me. Or maybe I’ll be lucky and it will make him think twice about bungee jumping on his vacation. So now we are only two months away from her surgery and we don’t even know yet exactly what the surgery will be or what it will look like. We have ideas but we haven’t had the big sit down yet with the surgeon to figure this out. I’m starting to get antsy and worried again. There’s so much going on in our lives right now that has me dealing with more stress than I’m used to and adding the surgery concerns makes everything a little intense to say the least. I started reading published studies and papers again on surgical options, and the risks and complications are weighing heavy on my mind. I know I should just stop but I can’t. So once again I want to push this back too and not deal with having to make another decision. Yet every time I touch my daughter’s back I’m reminded how we can’t turn away or push this off. 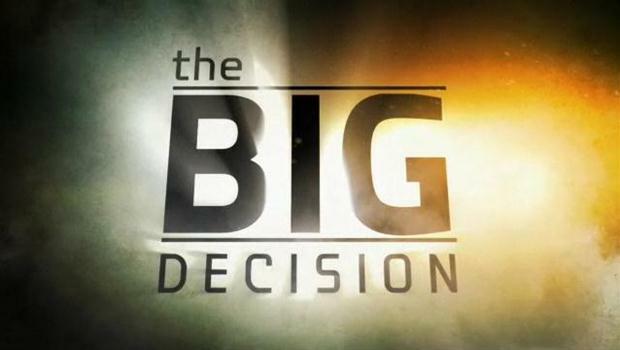 A wise woman in one of my support groups said, “the decision is harder than the incision.” Considering how hard these decisions have been and all the second guessing that comes with it, I sure hope she’s right. “I know someone with scoliosis” or even the “I know someone with scoliosis and they turned out fine” and “Oh my neighbor’s 16 year old daughter has scoliosis, she practices yoga to help” Unless those statements includes the words “infantile scoliosis” or “congenital scoliosis” statements like these should not be made. Infantile, Early Onset or Congenital Scoliosis are so very very fundamentally different. They can be much more dangerous and potentially life threatening. They can not be compared to the scoliosis you are probably already familiar with. Even the treatment for these types are significantly different. The young growing spine is very different than that of a mature or almost mature spine. And if you are looking at congenital scoliosis, that means there are bones in the spine that never developed properly and they never will. “At least you caught it early while she’s so young” – This seems like the right thing to say and it’s a little tricky. Catching it early means this is a different type of scoliosis and has a very different treatment plan that can be much more complex. No matter how successful treatment is for our kids they will have to be monitored for their entire childhood and that’s just for those who have responded well to treatment. Imagine what it’s like for those who do not respond well and have complex cases. “Have you looked into chiropractic medicine, a chiropractor can help and even fix scoliosis” I’ll be honest, this one infuriates me. A chiropractor cannot fix scoliosis! Sadly, there are way too many chiropractors out there who will tell you that they can, in fact, fix scoliosis. What’s even sadder, there are way too many chiropractors who have no real idea what infantile scoliosis is or what congenital scoliosis is. A chiropractor can help alleviate some discomfort for adults and adolescents with mild to slightly moderate curves, but that’s it. It can be dangerous to have a chiropractor manipulate the spine of a child with congenital scoliosis, where bones that aren’t formed properly. Chiropractors can be wonderful care providers for for many other things, but not infantile or congenital scoliosis. “God only gives people what they can handle” – Unfortunately many people really can not handle the stress of really complex medical cases. Just watch the news to see all the people who do NOT handle their medically complex child well to see that this isn’t true. Most of us rise to the challenge because we have to, not from any per-existing virtue. “That curve doesn’t look too bad” – Because you are a medical expert you know what constitutes a bad curve from a good one? What is a good curve anyway? Sure a curve might not “look” bad but that’s what’s deceiving, that curve if not treated quickly and properly could grow rapidly — just as fast as a young infant grows. 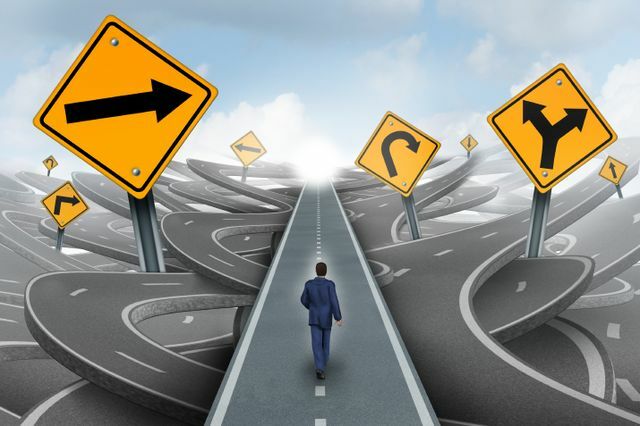 We know you mean well, but it belittles the seriousness of the journey and situation. “I know just how you feel.” Unless you have a child with one of these types of scoliosis you simply do not know. Please do not think you do. “At least there is a surgery for that. I hear about people getting spinal fusions all the time and they are just fine” – First off, spinal fusion surgery with rods is a very difficult and complex surgery. Surgeons will often tell you the recovery for a complex spinal fusion is far more difficult than the recovery from open heart surgery. Secondly, you can’t just fuse the entire spine of an infant or toddler. Once you fuse you stop growth at that point of fusion, so that spine would not grow anymore in the areas fused and thus the chest cavity would not grow either, therefore the lungs and heart wouldn’t develop properly. A infant’s spine that is completely fused would be a death sentence. So then you might say growing rods makes sense, again a very complex surgery that requires multiple surgeries over years and by nature have a 90% complication rate. 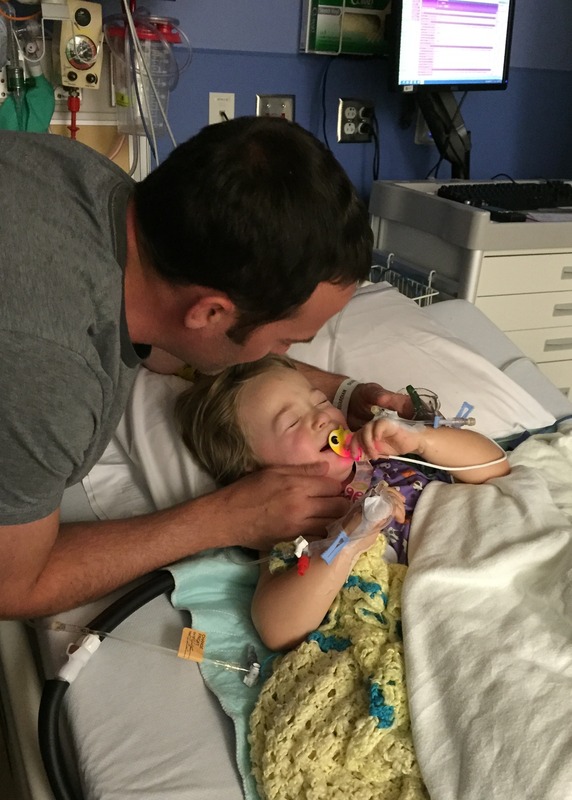 The physical, emotional trauma of repeated surgeries on little ones is not something to take lightly. Keep in mind a child also has to be ‘big’ enough for growth rods too. As advanced as technology is they still have not been able to create very small instrumentation that works with young, small and soft bones. Yes, this is the only option for many at some point but this is far from ideal. “Everything is going to be all right. I just know it” This is often a statement made in hopes of making someone feel better but the reality is you have no way of knowing if it will be alright or not and such a statement ends up sounding like an empty platitude — It simply doesn’t make a parent feel better. “He will outgrow it” – If we took that approach we would be in real big trouble. “Have you tried ____ exercise, physical therapy, acupuncture, essential oils, super magic moon crystals, this weird new therapy that I heard about one time but know nothing about? – We parents don’t want to defend ourselves to you on how we have already tried this or that or don’t trust the efficacy of a certain treatment, especially if your evidence is only anecdotal. “Did this happen because of something you did in your pregnancy” – Asking whether a parent’s pregnancy, genetics, diet or what-have-you led to this is actually rather insensitive. Blame is the last thing we need. Just to be clear, the answer to these are NO! “Well he runs and walks and looks normal. It’s just scoliosis; I’m not sure what the big deal is? – There are many diseases out there where people look ‘normal’ and aren’t normal. Just because our kids hit all their milestones and aren’t laid up in bed in pain doesn’t mean this isn’t serious or a difficult road to travel. “It’s great you can just go to the doctor’s office and have a cast applied so easily” – Having a Mehta/EDF cast applied is nothing at all like having a cast applied for your broken arm. Mehta casts are applied in the OR, under general anesthesia, full intubation, with an entire team of doctors and specialists. Our kids are placed into a complex and very precise form of traction to straighten the spine and address the rotation of the spine. Then the cast is applied to the entire torso, which isn’t easy, it needs to be tight but not too tight. It’s crucial it’s done precisely to protect the chest wall, respiratory function, organ function and more. I could go on and on….this is a pretty big ordeal! “Why don’t you just get the surgery already” –It’s insulting when you think surgery is the best and easiest option. “They are doing such wonderful things these days, technology is much better today than 20 years ago.” I’ve made the mistake of saying this at times too but even if the prognosis is good, what the parents and child is going through is far from wonderful and this can undermine those feelings. “So she’s in a cast, she can still have a bath and swim right? You can take that off” – I think every single one of us who have a child in a Mehta/EDF cast has heard this one. It baffles us all and drives us crazy. It’s a cast, not a brace it doesn’t come off unless you cut it off. Please remember this is a CAST not a brace. “Why can’t she wear a brace like other girls” – This isn’t mild or moderate adolescent scoliosis. This is a whole other animal. Trust us, if a brace was going to do it and be our best option, we’d all have our kids in braces. “Why are you traveling so far to see a surgeon, why can’t you just see the local orthopedic surgeon, I’ve heard he treats scoliosis?” – These are very rare forms of scoliosis that generally require a surgeon with vast experience and expertise in these areas. Sadly, there are plenty of great orthopedic surgeons who treat scoliosis for adolescents but do not have the understanding, experience or knowledge for these cases. It would be great if we could just go across town. This is another reason why I wish EOS and Congenital had entirely different names that did not include the word “scoliosis” – which I talk about in another blog here. “I know your 2 ½ year old is in one of those casts, but he will be alright coming over to a pool party where other kids will be swimming right? He understands he can’t get in and will be fine watching, right? I was downright shocked how many parents in our support group mentioned something along these lines being said. This is particularly cruel. We understand our kids cannot attend all parties and functions because of “cast life” and we don’t expect you to change your plans by any means. What we do expect is respectfulness and when there are functions where our kids will be there no matter what, do not ask our kids to be mere spectators. This would be hard for an adult to even do, imagine how hard this can be for children who are already going through so much. When we’re frightened or stressed about our children’s health, advice is often the last thing we want from friends and family. What’s more important is simply being listened to—and knowing that we’re being heard. Try, “Tell me what’s going on, help me understand the differences between infantile scoliosis or congenital scoliosis and adolescent scoliosis, so I can understand your journey just a little better? 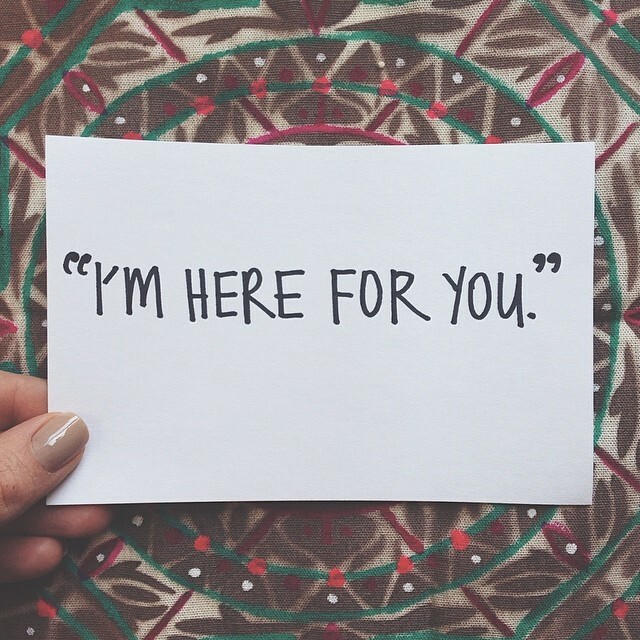 Instead of saying “I know how you feel”, a better approach is to ask something like, “How are your mood and spirits holding up through this?” If the person you’re concerned about is anxious or sad, this gives him a chance to tell you how he feels, which can be a big relief to someone who’s trying to pretend he’s doing just fine. Castings, surgeries, even appointments with our surgeons can be far away and require a lot of travel, many have to take air travel to see the right doctors. Ask, “when is your next appointment? I’d like to help by doing ____? Many parents have other children that need to be cared for while we are gone. Offer to help with the kids, the dog, make a meal for when the family returns. Simple things like this can help in more ways than you can know. There’s a big difference between pity and empathy. And sometimes, you don’t have to say anything. Just being there is enough. Do you have anything else you wish people didn’t ask? Are there other things you wish people would ask? There are certain days in our lives we never forget… graduation, getting your driver’s license, your wedding day, and your children’s births. There are also horrible days we will never forget, where you were when 9/11 happened. 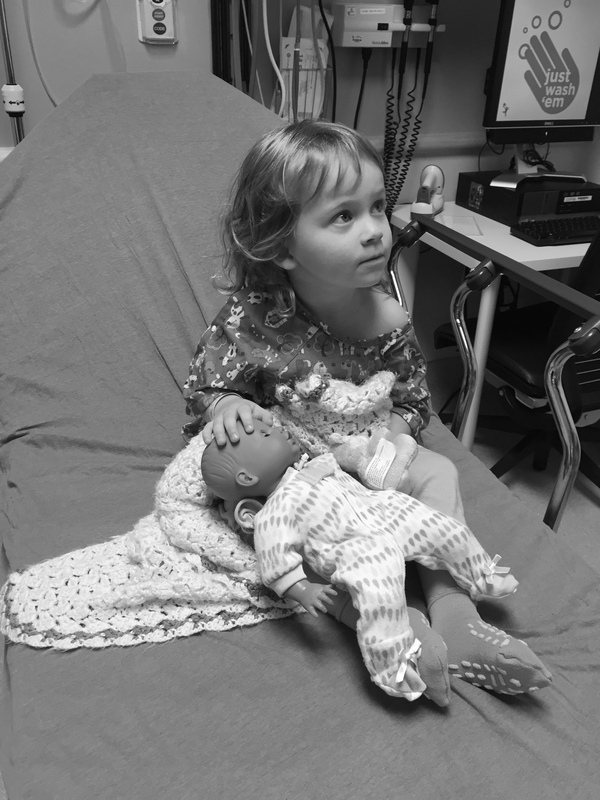 The day Nora had her first x-ray and we received her diagnosis is a day I will never forget. I’ve written about that day before here and how the fear of the unknown shook me to the core. 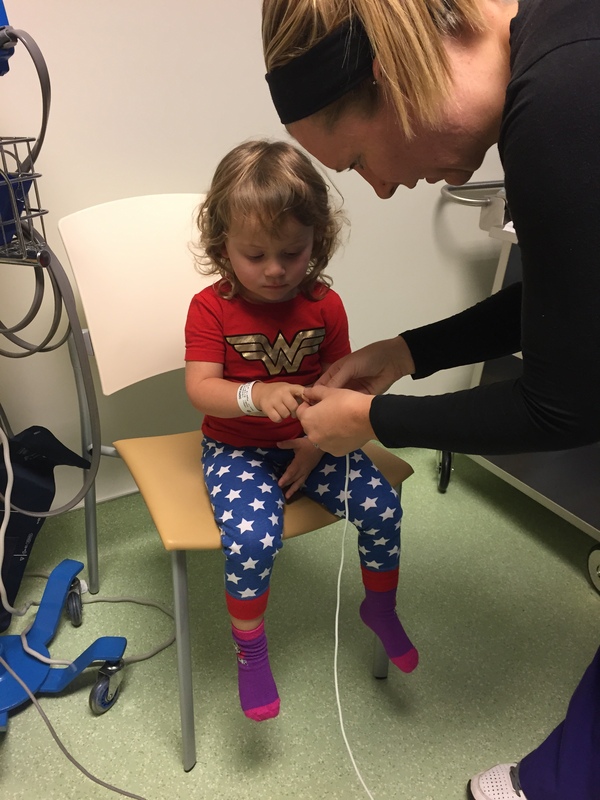 I remember the phone call with her primary care physician, who gave me the diagnosis and outlined what little she knew about congenital scoliosis and told us surgery or surgeries were in our daughter’s future and reiterated just how rare it was. I remember standing there, in my kitchen, taking that call and trying to hold it together and failing miserably. I was in complete shock. I remember telling my husband I needed to go out for a walk afterwards and I just ran, I ran till I couldn’t run anymore and broke down crying in front of a neighbors house. I’ll never forget that day. The moment our children are first placed in our arms we can’t help but think of their futures. Naturally, we envision prefect, happy, healthy futures. Nora was just five month old. Five months. It wasn’t fair those hopes and dreams were being questioned already. When I got my wits about myself there were two thoughts that went through my mind. One it was a mistake. And two, I was begging God to make it a mistake and give me some horrible disease or something, anything.…just not her. This was the beginning of my travels through the stages of grief. I believe certain diagnosis’s propel parents to experience the same stages of grief and loss that they experience when losing a loved one. But it’s different. Different in that we jump around the stages not in any particular order and revisit stages we have already been through and thought we were finished with. I went through all the stages of grief not that long before this. I’ve never really talked about this openly till now. It took Matt and me some time before we had Nora. We had gone through a number of miscarriages and my pregnancy with Nora was difficult in ways. At just 9 weeks of pregnancy, after a trip to the OR because of a threatened miscarriage, I was told I had a 50/50 shot of the pregnancy making it through the situation I was in. I was a high risk pregnancy from there on out. Within a couple of weeks, I also found out my step-dad, who was a big part of my life just like my dad, was diagnosed with stage 4 lung cancer and it was bad. I bargained and pleaded with God to let him be ok, I didn’t want to lose him. I said to God, “I can go through another miscarriage if Steve can be ok. I’ll have other opportunities for a baby just please let Steve be ok.” I wanted to take on more hardship to keep my stepdad. I was bargaining. But I didn’t know what bargaining was in terms of dealing with grief. But soon I was changing my mind. I begged God for both. I wanted that baby so badly and deep down I knew this pregnancy was different. I wanted Steve to be there when this baby was born. Was I asking so much to want both? This time in my life and the thoughts that I had I still struggle with to this day. I think I always will. I feel guilty and terrible for both of the thoughts that I had, and in ways I will never fully understand it or forgive myself for my thinking. I’ve shared these thoughts with only a few people in my life, until now. My stepdad passed away just 12 weeks from his diagnosis. I’m still angry Steve never got to meet Nora. After Nora’s diagnosis, I was facing these stages of mourning and loss all over again but in a completely different way. I was in denial and bargaining in the beginning of course one of the stages is Depression. Thankfully it was hard to fall into a deep depression when I had this otherwise healthy, happy, beautiful, and funny little baby around. Her laugh, her face, her everything was a reminder to preserver and also to just enjoy life with baby. Pushing the depression part of it aside quickly opened the door for anger to come on in. This stage is one I’ve visited often. In the beginning when anger visited, I first turned my anger at God, wondering why he would allow this sweet innocent baby to face all this. Then I was mad at myself. This somehow had to be my fault. Something I did wrong in my pregnancy (which is not true at all, this just occurs) something I did wrong in life and was being punished. I didn’t let myself stay in anger or depression long, I jumped into testing pretty quickly. I became obsessed with reading everything I could. I found ways to get my hands on published studies on read them all. It would take me forever to get through some of these studies to understand it all. I couldn’t do it without a medical dictionary too. I have a five inch three ring binder busting at the seams filled with studies, information, statistics, everything I can find. I’ve received quite as few interesting looks from surgeons when I’ve opened that puppy up in a consultation. I was really thorough in the testing – seeking realistic solutions stage. I’ve learned the hard part is defining what a realistic solution is to a complex, rare and unique spinal condition. After some time I thought I had accepted it all. I wasn’t worrying and reading all I could constantly anymore. I thought I had handed it all over to God. And I did in many ways but I also was still holding onto that denial. 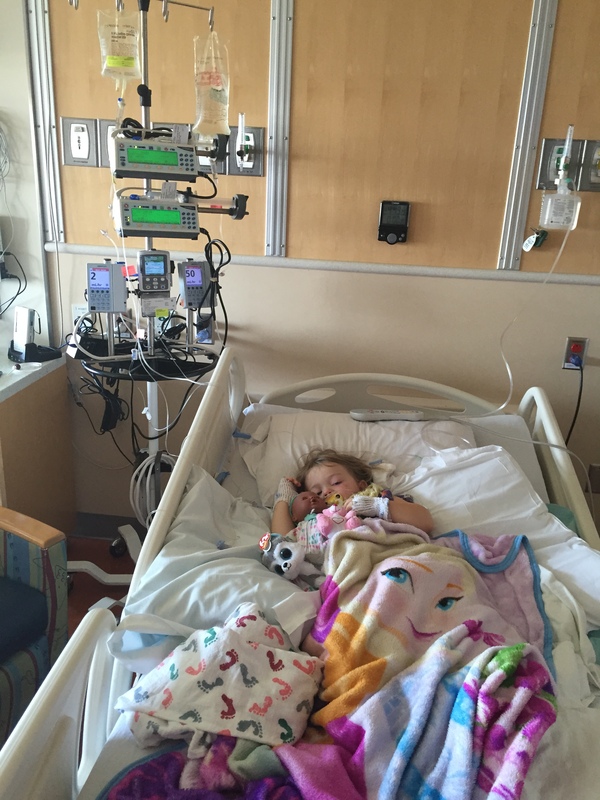 We spent months after her initial diagnosis just watching her spine and waiting to see how things would go. We had discussed the possibility of needing to cast her but there was some uncertainly in how her spine would progress and maybe we wouldn’t need to cast and her spine would hold decently steady till she was old enough for surgery. I held on to that like it was a five hundred dollar bill. I was in complete denial again. By time her one year birthday rolled around I knew her curve had increased significantly but I was in denial that it really meant anything. So much so that I told Matt he didn’t need to come to her routine x-ray and check up, we would be fine. It would be no different than the previous ones. Looking back I really don’t know how I was so oblivious. Of course it was that appointment, where I was by myself; I learned we had to start casting…. Hello again Anger. In the time since we started casting, coming up on two years this summer, I’ve really come to a new place of acceptance. Acceptance unlike anything I could have envisioned two and a half years ago when we got this diagnosis. I truly believe this happened for a reason, a good reason as crazy as that sounds. I’m not only a different person since becoming a mother; I’m a different person since my daughter’s diagnosis. This has changed a part of my life, one part of my purpose in life. 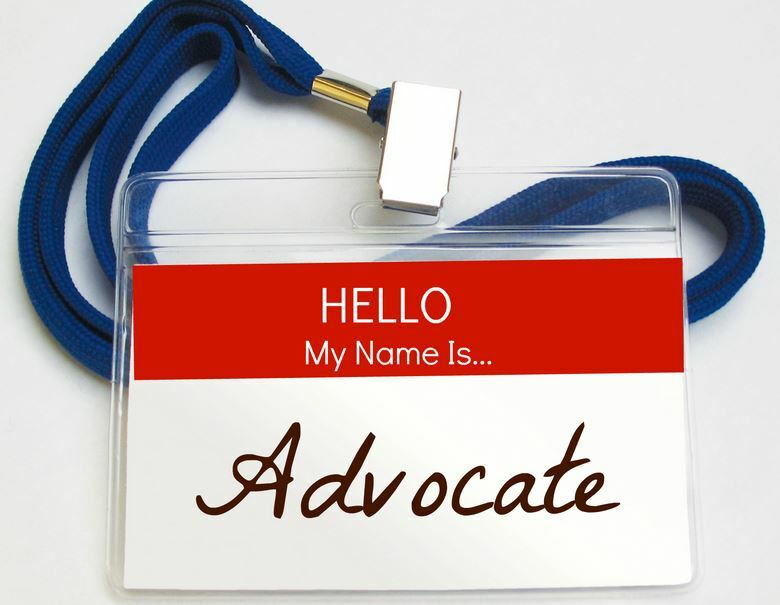 I will forever be an advocate, supporter, educator, fundraiser, and more for this rare and complex disease. Last week I thought I had mastered all the stages of grief. I have actually been in a rather peaceful and positive place despite all the unknowns and recent setbacks. But denial and anger reared their ugly heads again and caught me off guard. It was after talking with a couple other congenital scoliosis moms and I realized, or remembered is a better way of putting it, that even after surgery or surgeries my daughter’s spine has a very slim chance of ever being straight. Ever. She will most likely always have a significant curve. I spent a couple days last week a little depressed and angered by this reality I had chosen to block out for some time. But that’s the thing, we have choices. I could choose to continue to be angered, all the time. Or I could choose to accept this situation, do the very best we can in terms of seeking out medical treatment and learning as much as we can, then leaving it and entrusting it in God’s hands so we can focus on finding and exploiting the positive silver linings. I also have to remind myself that we are still very very lucky, she’s a happy and otherwise healthy and thriving toddler. Things could be so much worse. I see it every day, we all see it everyday. Sometimes that makes me feel guilty too. Guilty for any of these feelings I have, knowing full well there are others who endure so much more. 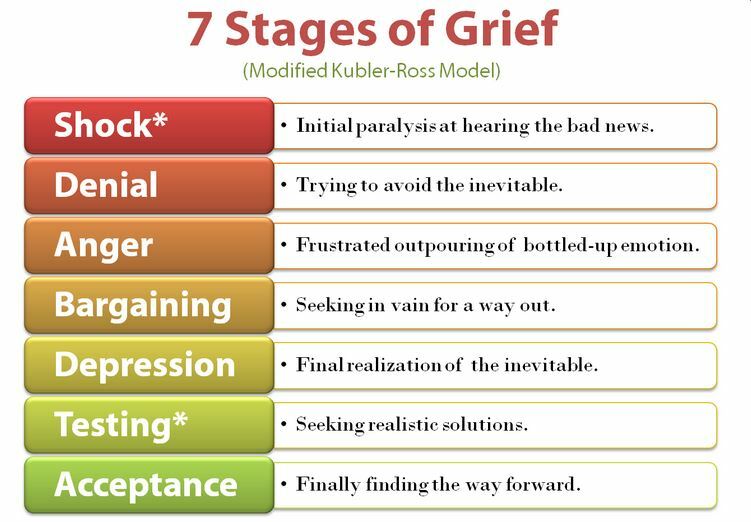 This recent visit from denial and anger made me realize, this is a life long journey so why wouldn’t all these stages of grief become part of the life long journey too? My hope is that I can continue to find the acceptance and peace along the way and turn it into something good.